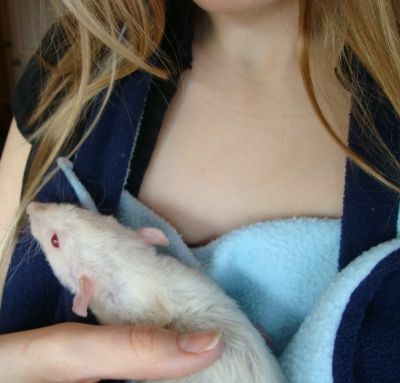 Rat carriers (also called bonding pouches) are very useful. They can be used to help socialize baby rats, to comfort sick or lonely rats, or to just spend more time with healthy rats. 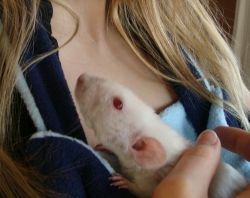 When rats have a cozy bed to sleep in close to your chest they will feel safe and comfortable. 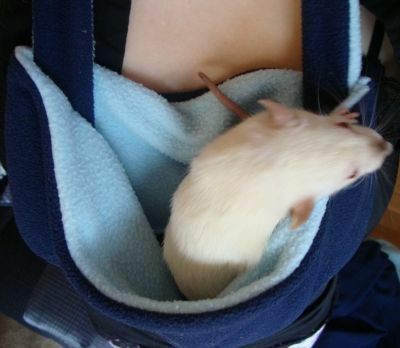 If you have baby rats to socialize, or sick or lonely rats to keep company, consider making a rat carrier. 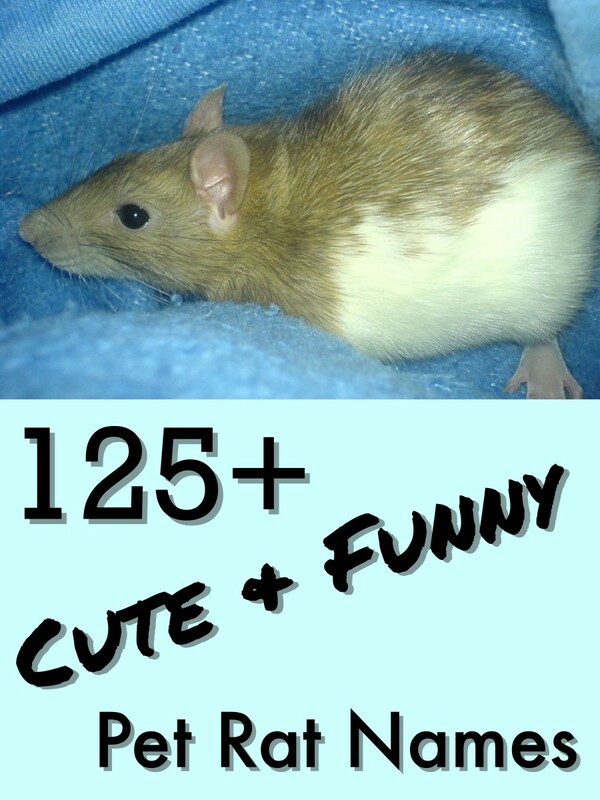 Do you have rats that would benefit from a bonding pouch? Yes, baby rats; I want to socialize them. 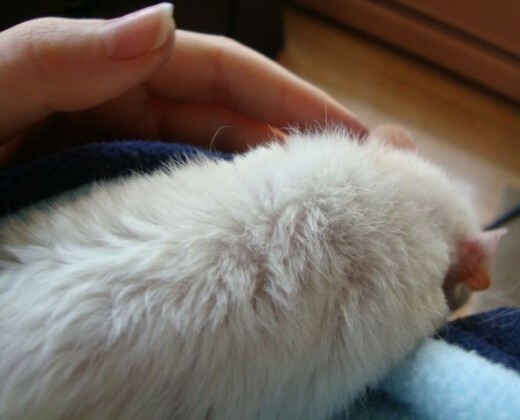 Yes, a sick rat; I want to comfort my rat and keep him/her warm. Yes, a lonely rat; I want to keep my rat company. 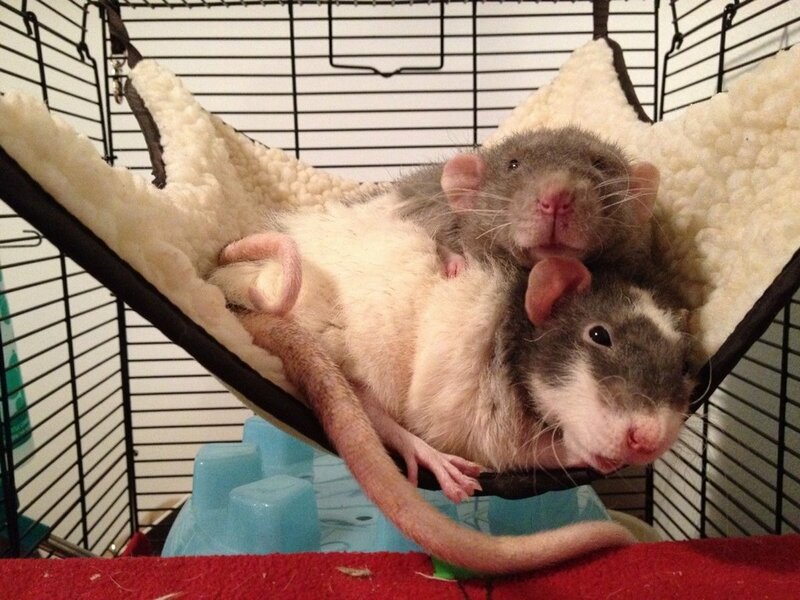 Yes, my healthy adult rats would enjoy spending more time with me. No, I do not have any rats. 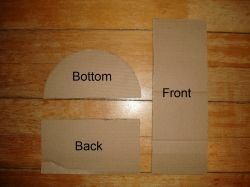 Make 3 cardboard templates for the 3 different sides of the carrier. 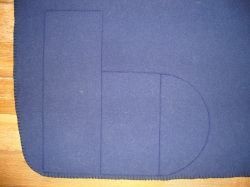 Using templates instead of measuring directly onto the fabric is more accurate, so the finished product will be neater. Also, you can keep the templates to make more carriers in the future. 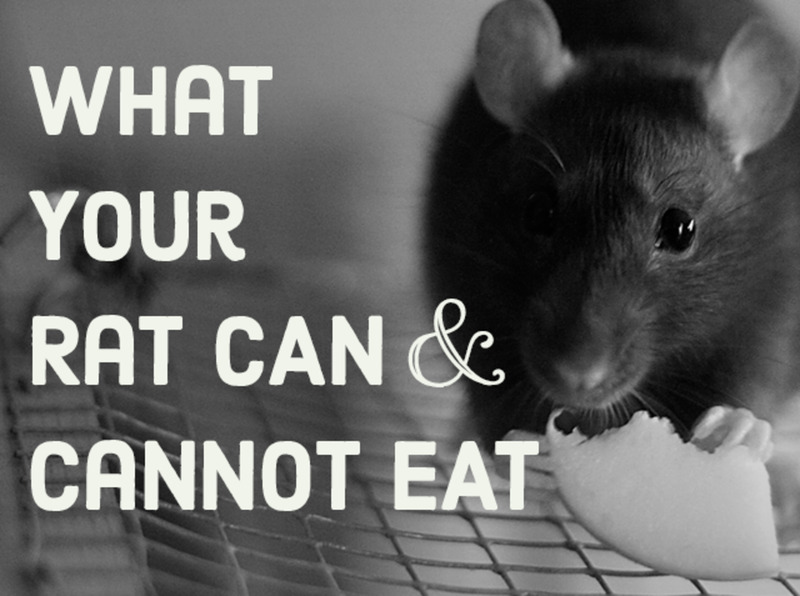 The size you make you carrier will depend on how many rats you want to carry at one time and how big they are. My back piece measured 9 inches by 5 inches. 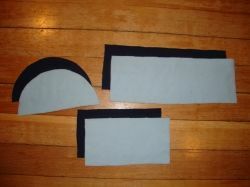 *When deciding on a size be sure to add an extra 1/4 inch to each side for seam allowance. Trace the each of the templates once on both colors. 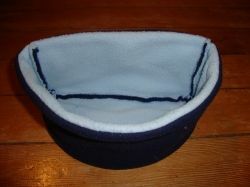 I chose a dark blue fleece for the outside, and a light blue fleece for the inside. Cut out all 6 pieces. 1. Pin the two back pieces together with the right side of the fabric facing inward. 2. Sew along the edge about 1/4 inch in. 3. 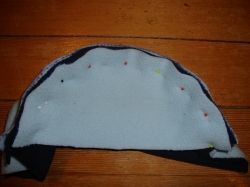 Fold the fabric back so that both right sides of the fabric are facing outwards and you can't see any stitching. Now do the same thing for the longer front piece. 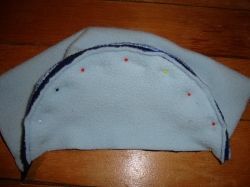 Pin together the two front pieces with the right sides facing in, and sew along the edge 1/4 inch in. Then fold the fabric back over so that the right sides are facing outward. 1. Pin the front piece to the bottom piece, with the right sides facing in. 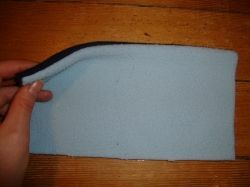 Make sure you are pinning the raw edges of the front piece, not the newly sewn edge from the previous step. 2. 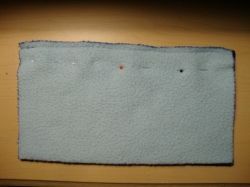 Sew along the edge, 1/4 inch in. 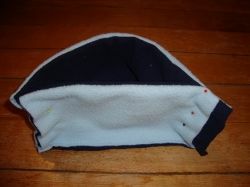 After you've sewn the front pieces to the bottom pieces it should look something like this. 1. Pin the back piece to the bottom piece with the right sides facing in. 2. Sew 1/4 inch in along the edge. 1. Pin the edges together with the right sides of the fabric facing in. *Don't worry if your front piece is a bit long (as seen in my picture) because you can just trim it off after you sewn up the side. 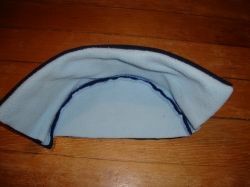 After you have sewn all the sides the carrier will look like this (the inside out view). Here's what it looks like right side out. 1. 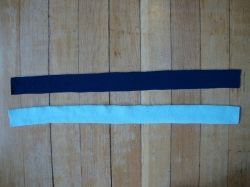 Cut two long strips of fabric. Mine were about 2 feet long and 2 inches thick. 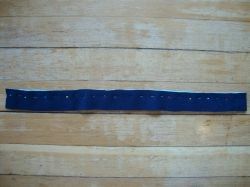 You can measure around your neck with a piece of string to get a better idea of how long you want the strap. When you choose the thickness of the strap be sure to add 1/2 inch so that you can have 1/4 inch seam allowance on each side. 2. 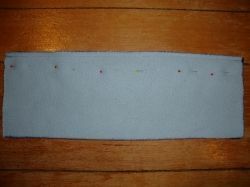 Pin the two strips of fabric together with the right sides facing each other. 3. Sew along the two long sides, 1/4 inch in. 4. Pull the strap right side out. 1. Pin the strap inside the pouch, pinching the edges of the pouch closed. 2. 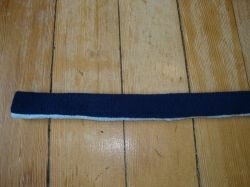 Sew through all the layers to keep the strap in place. Loki looks out from her pouch. Do you think you might try making a rat carrier? Yes, they look pretty easy to make. 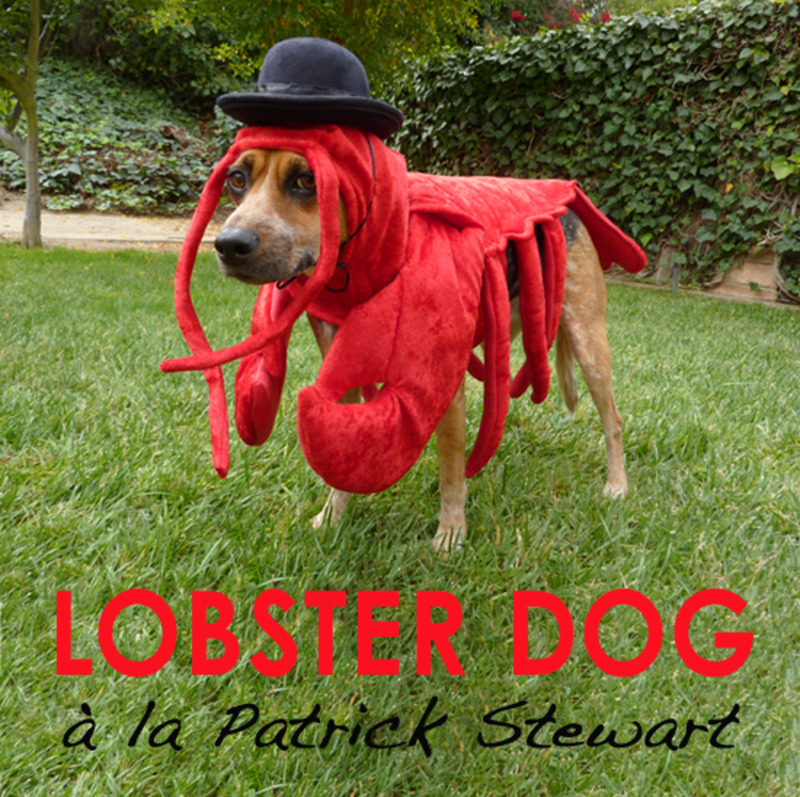 No, I would prefer to buy one. No, my rats don't need one. Love the idea but sizes are needed. I hope my two baby rats will like this. 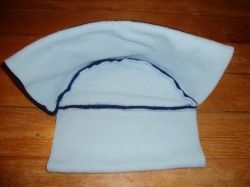 I'm actually making one for my guinea pig. This is so clever! What a great idea, I wish I was as good at coming up with things as you are . I'm going to try this because it looks easy enough . Thanks for a great idea. i have 2 mice so i made a smaller one for them and they loved it!!! 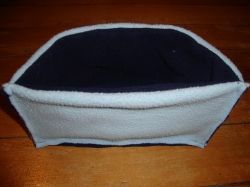 I made a similar one (but not so beautiful..) for my persian cat when she was a baby, to keep her close to me while I was surfing the internet or working around the house and it was a blast. Awesome lens! 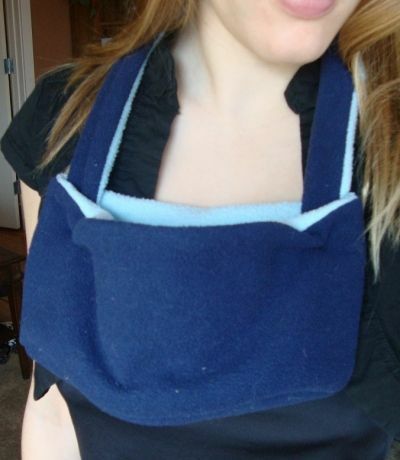 Great idea this would stop little Silke going down my top and scratching me to bits, thanks for this. 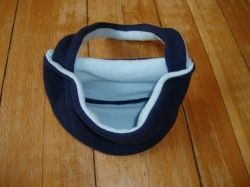 I love this idea to make a bonding pouch, carrier for my little guy. Many thanks! This is great! 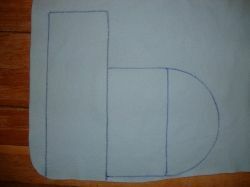 It looks simple enough that my kids could make this. Thank you for the very detailed images, they are a big help. @lilymom24: That is a great idea too. I've heard of people doing that. Too bad i don't have any hooded sweartshirts. What a clever idea, and great to see such a clear illustrated tutorial for making a rat carrier of your own.